Today I took our girls for our annual trip to visit Santa. Our local mall has a really good Santa and I love getting a picture with him every year. 2010 - Maybe one of my favorite pictures ever. 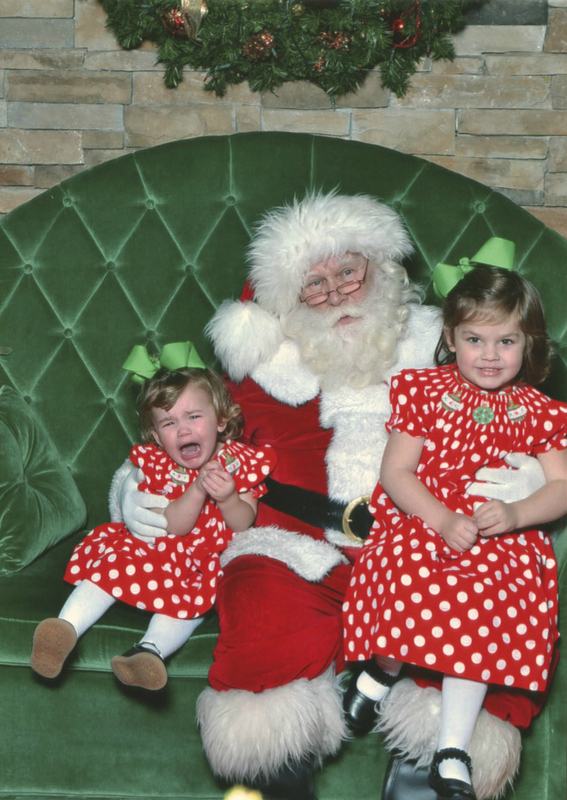 I know some of you will think it's mean - but crying Santa pictures just make me laugh. Every time I pull this picture out I just can't stop laughing. Now that we have several pictures - I want to try and frame them all and display them somewhere at Christmas. I know my girls will love when they get older seeing these pictures. 2011 - Hollis' first Christmas. 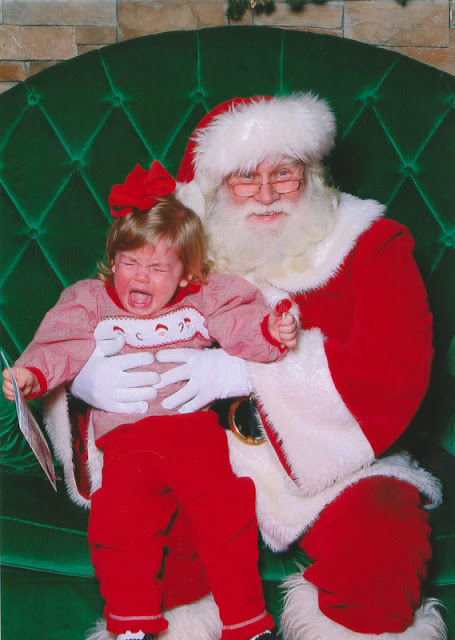 Neither girl was too excited this year. 1. Hollis is the one who talks about Santa all the time and last night when I put her to bed said "I want to sit on Santa Claus' lap." 2. 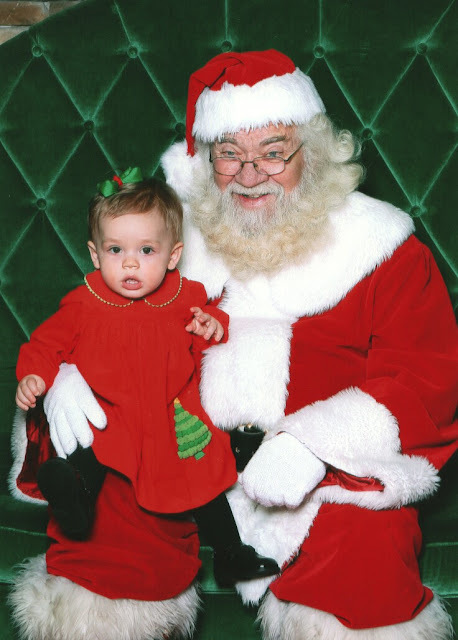 Harper for the first year was thrilled to death. She has received a few fans lately so her answer now has changed to a "bicycle" which luckily is what she is getting. 3. Santa looks worn out. And I'm pretty sure it's because of me. We were the only ones there so I kept making them take a picture. He wanted me to hold the girls and stand behind us so we did it but I didn't want to be in the picture. Hey - no one was waiting - I felt like I could take our time. :-) Apparently - he did not agree. 4. 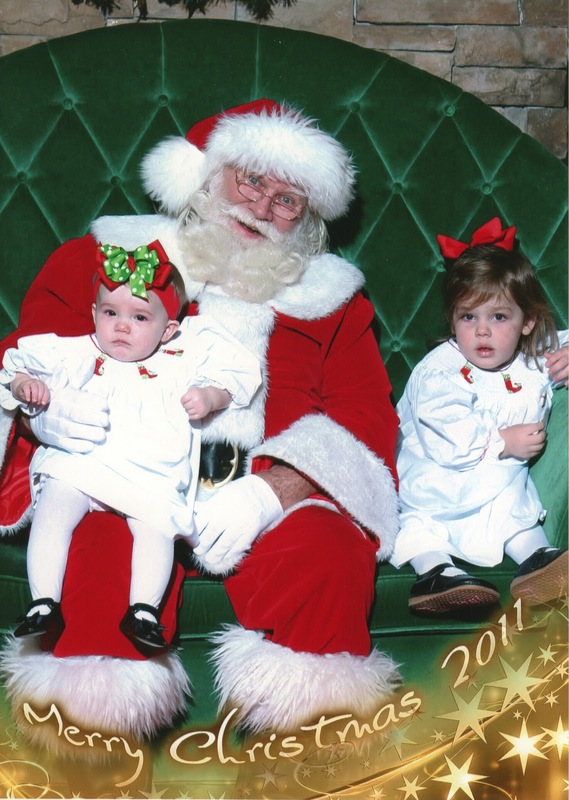 Don't feel too sorry for Hollis - 30 seconds after this picture she was smiling and waving at Santa. That's what we are making.